An elite team of female environmentalists are joining forces to rid the ocean of plastic in a green reimagining of one of this year’s Hollywood heavyweights. This summer, an all-star cast combined to make up the cast of Ocean’s 8, a film in which a team of the best thieves in their fields plan a $150 million heist. Melanie Rees, director of Green Centre Creative and founder of Ocean’s 8 Brighton, saw this concept and applied it to the city’s environmental cause. 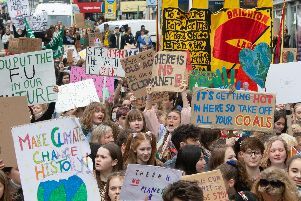 She made a list of Brighton’s long-established grass-roots projects and, from this, recruited eight of Brighton’s top female eco-activists to join forces and rid the ocean of its plastic pollution problem. Upon hearing of the idea, photographer Alex Bamford offered to recreate the film’s poster, replacing the faces of the original cast with those of the eight environmentalists. After focusing on their individual projects over the summer, the team plan to assemble in September to plunder the plastic from Brighton’s seas. Ocean’s 8 Brighton is made up of Cat Fletcher, Melanie Rees, Claire Potter, Chloe Hanks, Louise McCurdy, Clare Osborn, Amy Gibson, Atlanta Cook and Mala Nathan.